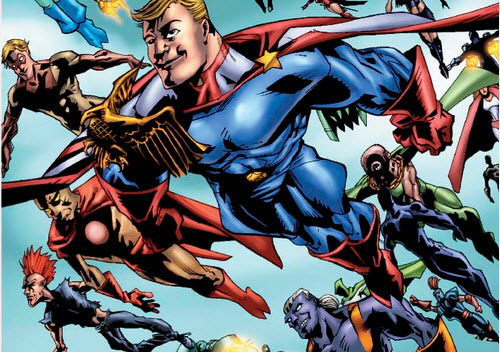 We live an age when comic books are ripe for adaptation and not just the superhero ones. Kingsman, V for Vendetta and The Walking Dead are just some of the comic books series which have made it to the screen and TV and movie studios are continually looking for new projects to bring to the masses. 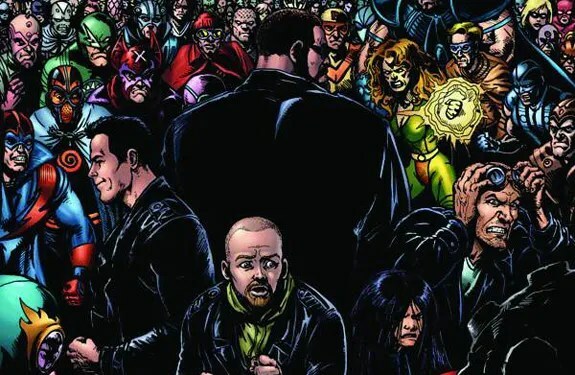 The next series they should be looking to adapt is Garth Ennis’ The Boys. The Boys is a comic book series about a time when superheroes exist, the world acknowledges and accepts them but unfortunately, they are usually awful, terrible people who don’t deserve the powers they have been given. This is when The Boys come in. The Boys are a CIA group who the American Government use whenever superheroes need to be put in check. They are diverse, violent and very funny – just as the series is as a whole. As you’d expect from Garth Ennis, The Boys doesn’t hold back on the violence, bad language, crude humour and sexual content. This is the man who brought the world Preacher and he uses the unchecked, more creatively free medium of comic books to great use. It is easy to see his work as just crude and childish (and sometimes it is) but The Boys is actually a series with a great threading narrative, interesting characters and set-pieces which force you to keep reading with fervour and excitement. This is down to how invested you become in the characters. The Boys themselves are a mix of different types of people, from the crazy Frenchie, the silent but deadly The Lady, OCD but lovable Mother’s Milk and their fearless (genuinely) leader Butcher, one of the most divisive “good guys” in all comics. The audience’s eyes and ears of the group is the newest recruit, a young Scottish guy called “Hughie” who finds himself in over his head very quickly. That is just the good guys. The villains are the superheroes themselves, from the frat-boy A-Train, the alcoholic female hero Queen Maeve and baddest of all, Superman-alike Homelander. They are terrible heroes who are violent, selfish and very popular, making the audience hate them even more. They make perfect villains and mean that you root for The Boys even more, especially as the stakes are greatly stacked against them. This isn’t just a “heroes vs villains” story and like all good series, there is a hefty dose of grey areas. At times you won’t know who the heroes really are, what the “right” thing to do is and best of all, what will happen next. Ennis sets up stories which have pay-offs far in the future and call-backs which help make everything fit into place perfectly. Which is why this series would be perfect for TV. Ennis writes in a very “TV-friendly” way and The Boys format, separate stories and over-arching tales seem to fit the series format perfectly. TV would have to be the way forward as it is a complex world that Ennis has created, with many different facets and characters to explore. A film would rush the issue and not do The Boys their true justice. It would also suffer from censorship. Hollywood suffers from a fear of R-Rated products and The Boys could be nothing but R-Rated. It is a series which benefits from freedom and TV has now become that place for freedom. Ennis’ last series, Preacher, worked well on the small screen, although lost some of it’s appeal in the adaptation. The Boys would be even better and could do very well from a transfer to the screen and a wider audience. It also helps that The Boys has ended, with a definitive direction and a clear structure to follow. The Boys has a great story-arc to follow and plenty of huge moments which an audience can both get invested in and get blown away by. Overall, The Boys is ready for a TV show and should happen sooner rather than later. It is a great story, an original concept with interesting arcs, characters and very cool moments. Like anything Garth Ennis, it is more on the mature side, but with a slight tweak it could be a must-see, inventive television.